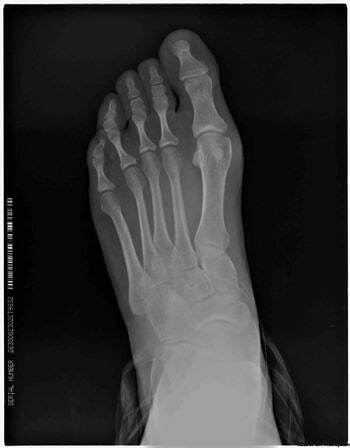 It’s popularly known as the lateral thickening of the bone that is articulated with the first toe. The bunion is a deformity that affects the first phalangeal metatarsal joint of the foot. It’s a deviation of the first metatarsal and the first toe. There are different degrees of deformity, hence some patients have a little deviation and others have more visual deformity. Many people don’t know which is the truly pathology, thinking that only what is worrying is what it’s seen, the bulge in the bone, but the real problem it’s just the opposite, what’s not seen, the state of the joint and the degree of mobility of the first finger. The pain is not always present when we have a hallux valgus, but we can ensure that this deformity causes problems in the rest of the foot. One of the most important functional aspects is the correct mobility from the first toe when walking, if there is not like that, we will have problems with the rest of the foot. That’s the reason why it’s so important to have a great functional outcome after the surgery. Are all the bunions operated in the same way? Absolutely not, it depends on each patient, we will choose the most appropriate technique or a set of them will be chosen to obtain the best functional result. Those are the most communes ones and it depends on the problem we will use one or another. From what age can we operate a bunion? Some of the patients have family history and do have this deformity from young age. Is then when we begin to evaluate an intervention after 16 years old, thought in some specific medical case we could operate before, despite taking into account the growth cartilages. In young patients we have to take really attend the most fundamental principles of biomechanics and functionality in order to obtain a good result for life. Results at the naked eye of the Bunions operations at Clínica Mayral. 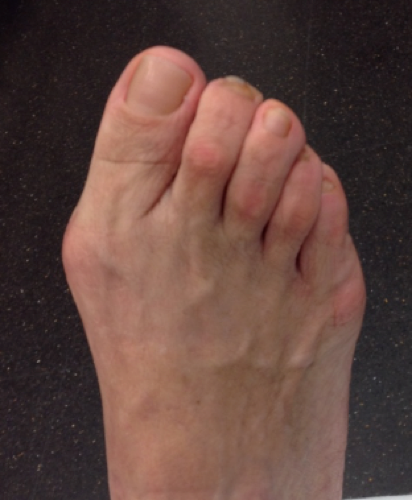 If you want more information about bunions and the technique of healing of the hallux valgus, check out our blog.